This note is from the far southeast corner of the TL2 “Wilderness” where the internet connection is as fickle as the electricity. I am in Kindu. 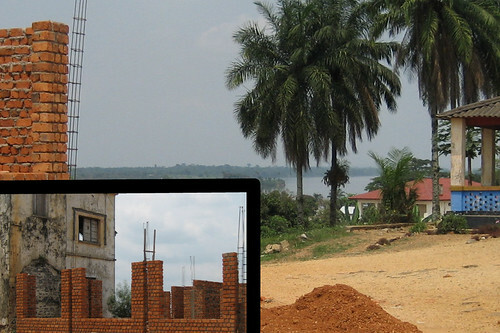 From the viewpoint of “government” hill I have a panorama of the Lualaba (=Upper Congo); in the foreground red brick walls of new government buildings rise against crumbling old colonial structures. Looking left (insert) utilitarian Belgian colonial stucco next to the government’s new utilitarian brick. And in the background the Lualaba flows past from the South. 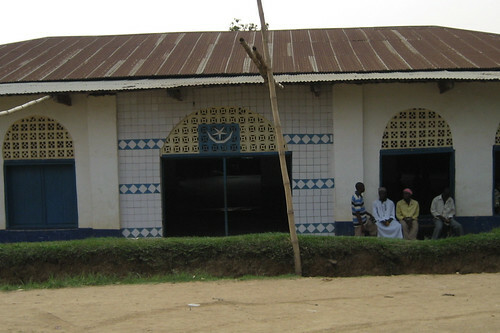 The colonial buildings, built in the 1930s, rose with equal enthusiasm among the even older edifices of the Congo-Arab era. Just upstream from Kindu, in the 1870s, Tippo Tib reigned from Kasongo and Nyungwe over an undisputed Congolese sultanate, sending huge caravans of slaves and ivory back to Zanzibar. The crumbling colonnade of an ancient Arab structure. An old man told me that this used to be a “barazza for the ‘Bahindi'”. And before that? 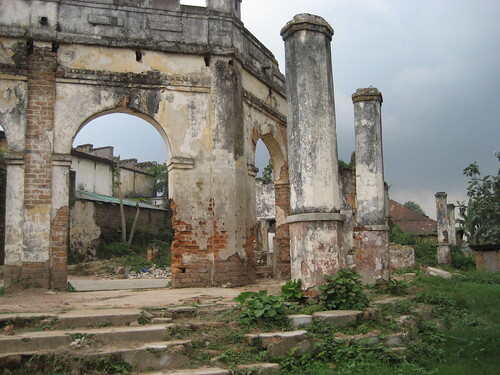 Kindu is a place for history to swirl, fossilize, and be ignored. 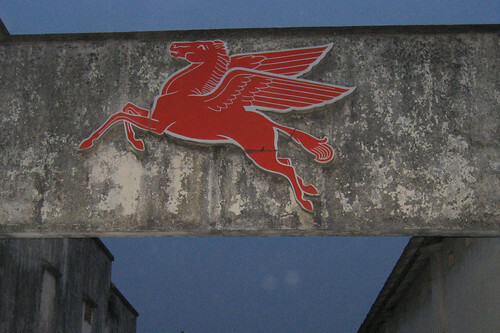 One Kindu fossil from the middle of the last century: this horse, now nearly extinct in its new world home, used to announce the presence of fuel. Not here. Not now. You are lucky if you can find someone with a battered barrel of fuel and a length of hose with which to siphon it. But nobody is looking to the past here. 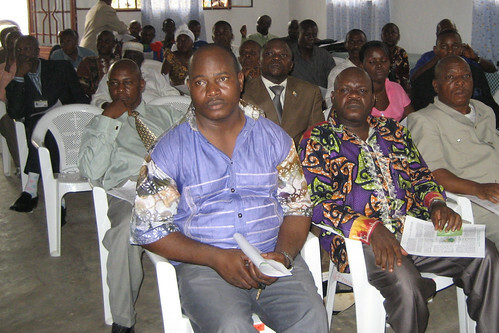 The determination and need for a new Congo and a new province of Maniema (Kindu is its capital) are almost a physical force in the air. 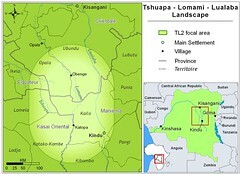 Exciting for us: there is a real openness to a new national park in Maniema’s TL2 wilderness. Fingers crossed. The governor on the left and the minister of mines and energy listen to my little presentation two days ago. The audience was gratifyingly interested. The governor’s attentiveness and the large attendance at my little presentation were very promising. But fingers are still crossed. In his closing remarks the governor gave a personal commitment to eat no more bonobo meat. May his example be followed by the whole province. 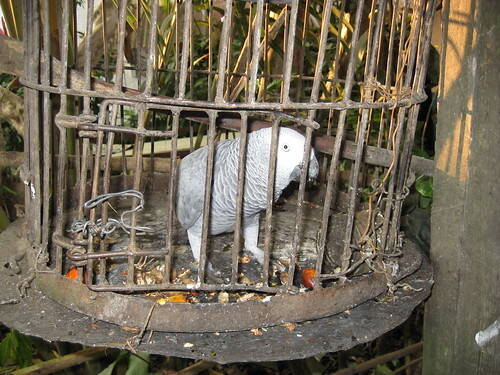 In Kindu I sleep in a neat Islamic guest house where three parrots in the courtyard parody life around them. At first light they mimic the nanny shrieking endlessly after the child “babu, babu, babu, babu” until finally sleep is no longer possible. At last light the parrots mimic exactly the click of a mobile phone at the end of its electric charge. “Choeet, choeet, choeet”, they screech at an insanely loud volume reminding us that no electricity for the recharge can be expected for at least another two hours. Hey, I’m ready to move to Kindu, but hopefully with my own generator and a stock of fuel. 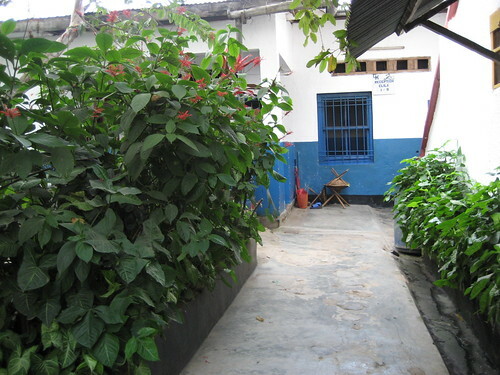 Above: a view of our guesthouse. Straight ahead the kitchen and on the left the little interior court. 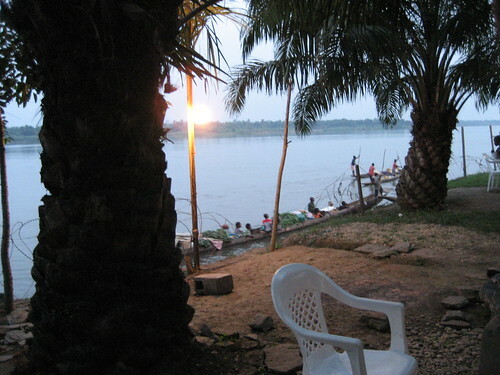 A view of the Lualaba from a little restaurant outside town, dugouts are taking farm produce to market. 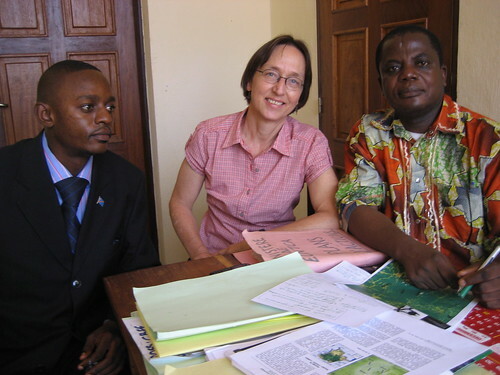 Dedieu (ICCN) and Germain (local NGO) at a buvette in Kindu. 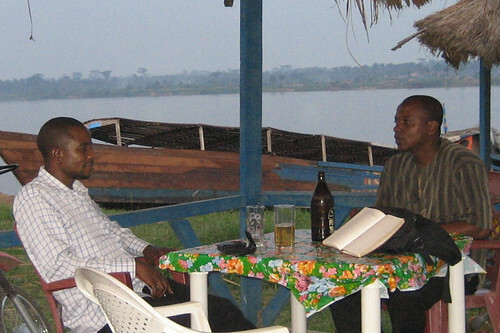 Just behind them an old boat that used to bring beer from Kisangani. 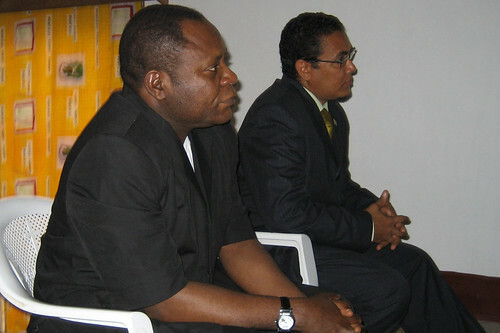 With the director of Maniema’s environmental minister’s cabinet (in colored shirt) and the legal counsel (in suit). 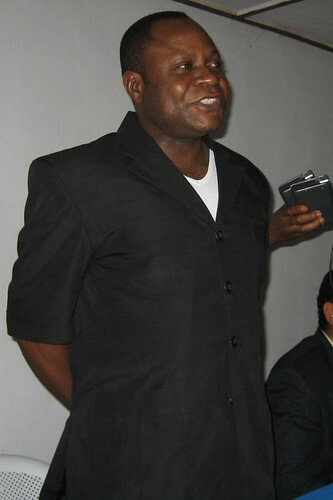 This entry was written by Terese Hart, posted on 2008-08-07 at 6:20 am, filed under About the project, Kindu. Bookmark the permalink. Follow any comments here with the RSS feed for this post. Post a comment or leave a trackback: Trackback URL. Always amazing how deep into the interior the slave trade reached. Zanzibar, after all, is a long, long way from the Lualaba.